At the beginning of 2019, two migrant rescue ships carrying 49 people, including children, waited up to 19 days before being granted a port in which to dock. This has prompted Amnesty International to call for 'urgent action' to change the way rescues at sea are being handled. 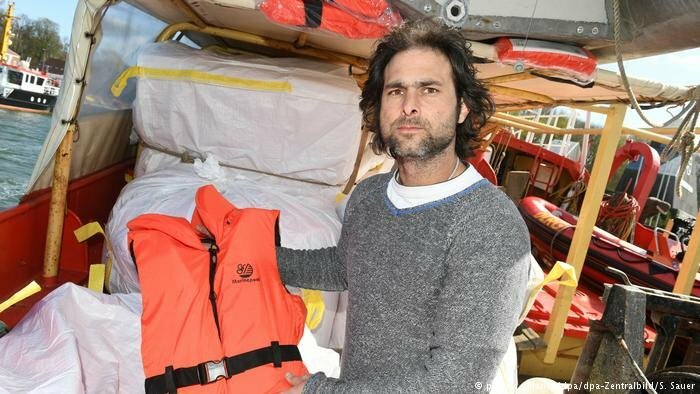 "After nearly three weeks of being tossed around in stormy seas these women, men and children are now safely on dry land, but the fact that it took so long is shameful," declared Elisa De Pieri, Amnesty International's Researcher on southern Europe, as the ships Sea-Watch 3 and Sea-Eye, both operated by German NGOs, finally docked. This sentiment has been echoed in numerous reports by the non-profit organization in the last few years. In June 2018, Amnesty published "Between the devil and the deep blue sea" and on January 18 their latest call to action: "Cut adrift in the Mediterranean", an analysis that outlines what is currently going on in the region and how the international laws on search and rescue and life-saving at sea are being enacted. Amnesty writes that "under international law, people in distress at sea must be promptly rescued and taken to a place of safety, meaning a country where they are treated humanely and offered a genuine opportunity to seek asylum." The problem, according to Amnesty, is that European governments want to block migration across the central Mediterranean but they can't directly return people to Libya "without breaching the law. So they invented a work-around: they started supporting the Libyan Coast Guard to intercept people at sea and return them to Libya." This so-called "work-around" has meant that European governments have helped train the Libyan coast guard, donated boats, helped with planning and coordination and made sure that a Libyan Search and Rescue region (SAR) was declared in the central Mediterranean, so that the Libyans are able to co-ordinate search and rescue efforts in their designated region. 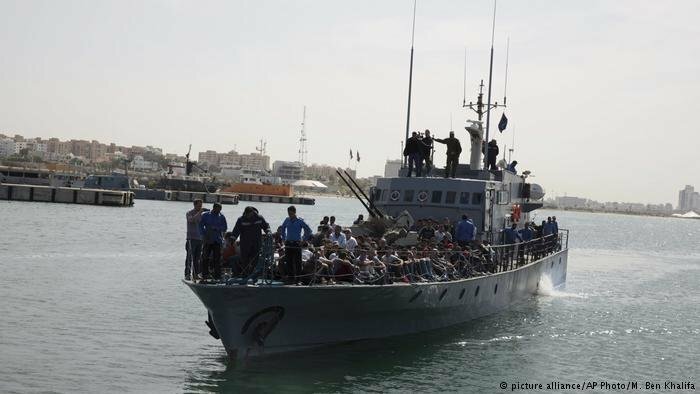 In effect, this means that the Libyan authorities can now direct any ship rescuing people in their area to disembark at ports in Libya. If a ship were to contact a European authority, that authority could not say "take them to Libya", Amnesty points out. But now that the Libyan SAR exists, they can say "that’s Libya's search and rescue region so you'll have to ask them what to do." The situation gets more complicated though, says Amnesty, because Libya, under international law, cannot be deemed a safe place. Therefore, the ship's captain "remains bound by international law not to take them back to Libya." Libya is not a safe place because it does not have the structures in place for which people could claim asylum. Amnesty notes that torture and abuse are rife in Libyan detention centers. "The fact that [those] returned to Libya are arbitrarily detained, tortured, raped and exploited seems to be of little consequence to European leaders." Amnesty describes this dilemma as a "ludicrous 'catch 22' situation … in which people rescued at sea cannot be taken to either Libya or Europe and are thus stranded at sea." The stranding happens aboard boats which undertake to rescue people. Amnesty also alleges that it "discourages" captains from "upholding their obligation to rescue people in peril at sea for fear of being left stranded for days on end without a port in which to disembark." 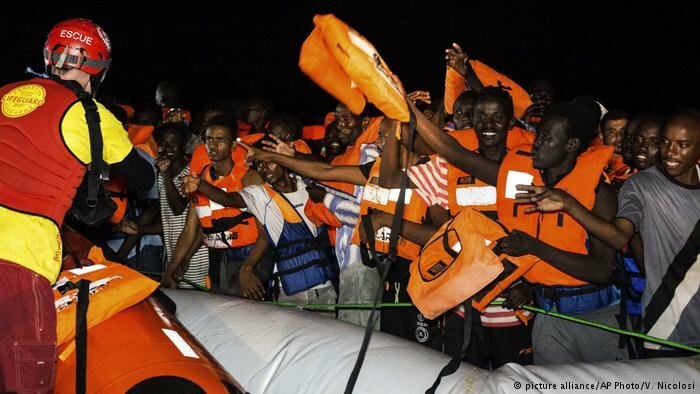 On January 8, 2019, the Spanish government issued an order preventing the Open Arms ship of Spanish NGO Proactiva Open Arms from carrying out rescues in the Mediterranean. 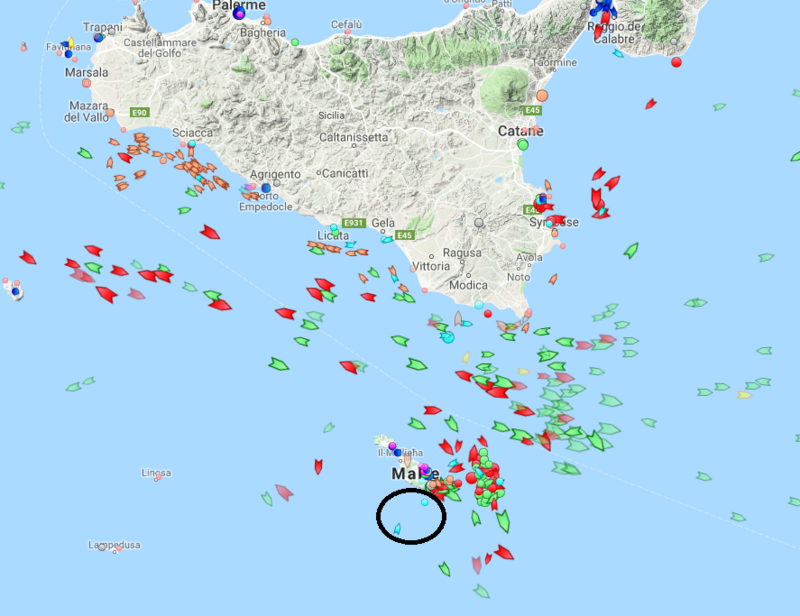 This, on top of the Italian government's orders and investigations against various other NGO ships, including those operated by Médecins Sans Frontiers (MSF – Doctors without borders), is making rescues more and more difficult. In June and July 2018, Amnesty points out that the proportional death rate, despite the drastic drop in numbers of people crossing on the previous year had in fact risen. 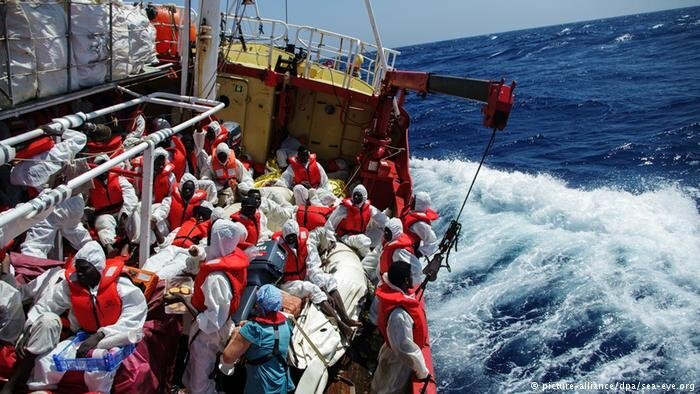 The International Organization for Migration (IOM) found that in those two months, a total of 721 deaths were registered along the central Mediterranean route, which amounts to a death rate to one in every 16. That's a rate four times higher than the rate recorded in the first five months of the year, which was one in 64. At the same time, migrant arrivals in Italy have dropped dramatically for the year 2018 - by 80 percent as compared to the year before, according to figures released by the Italian Ministry of the Interior at the end of 2018. Amnesty calls on European leaders to stop "turning their backs on people stranded at sea" and to stop "distorting the debate on migration for their own political gain." They lay much of the blame on the heart of the Dublin convention itself. Amnesty point out that ‘Dublin’ has meant that the majority of the burden of processing asylum claims has been placed on Italy, Spain, Greece and Malta, as the main countries of first entry. This, they say, has placed an unfair burden on those countries and has meant that Italy, Malta and now Spain, has started to take unilateral action in order to prevent ships from docking in their ports. The last problem Amnesty outlines is a "distortion of the debate on migration for political gain." They point out that the numbers of those crossing the Mediterranean drastically dropped in 2018 and had in fact hit their lowest level in five years. But that hasn’t stopped politicians "insisting that Europe is facing a crisis and that migrants and refugees are a threat to Europe." Amnesty says that the majority of people actually migrate via land and air and that "seizing on the visible spectacle of sea rescues […] is a strategy employed by politicians more interested in getting votes than in solving problems." They add that "[those] suffering at sea are merely pawns in this political game." Solutions are of course complex. But Amnesty International calls for "safe and legal opportunities for people to seek asylum, look for employment or reunite with relatives." They say they are not in favor of removing border controls altogether but rather "expanding safe and legal pathways and improving migration governance." In Libya they advocate "promoting the protection of rights" and "ending the reliance on detention, ensuring the prompt release of all those arbitrarily detained and guarantee[ing] that refugees can be resettled in a safe country." In Europe, they support changing the law so that there is a "fair" distribution of those who do still arrive in Europe by way of sea crossings. Amnesty also calls for a "swift and reliable disembarkation mechanism in line with international law." In their call for action, the NGO quotes the EU Commissioner for Migration, Home Affairs and Citizenship, Dimitris Avramopoulos who said of the Sea-Watch / Sea-Eye affair: "This has not been Europe’s finest hour… The European Union is about human values and solidarity. And if human values and solidarity are not upheld, it is not Europe."